The Fowler School has decided to try a different fundraiser this year called the Fowler Fun Run. 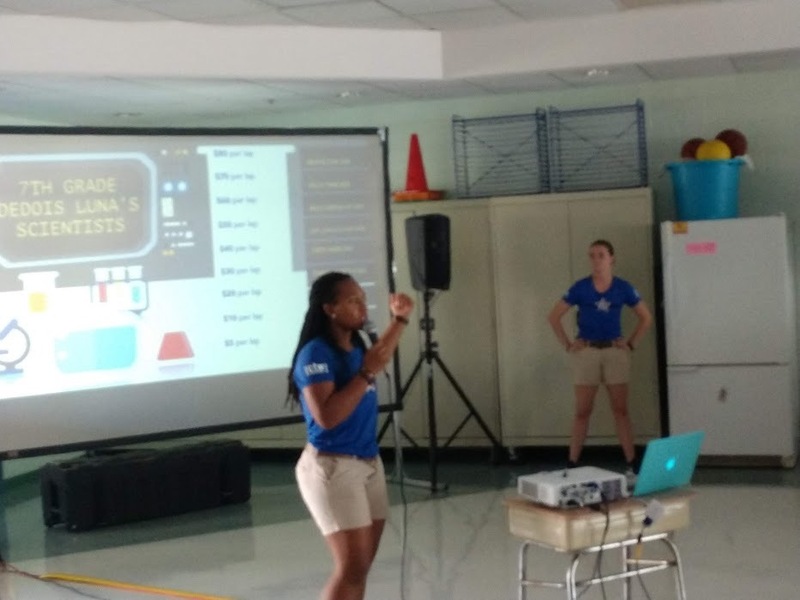 Boosterthon is the company that supports this fundraiser and they have a great theme called the Mindspark Mystery Lab that focuses on Science, Technology, Engineering, Art, and Math (STEAM) as well as Character development around citizenship, mindset growth, integrity, teamwork, and zest. In the attached picture, Jazzy Jasmine and Karate Kaitlyn are talking about citizenship with Fowler students during lunch. Principal Costello will be sending out more detailed information to the Fowler Families regarding the fun run..
We are very excited about the new website and associated social media opportunities to communicate school information with the greater community. We are still in the development stage but will seek community input in the future to gauge community satisfaction and any recommendations. I highly recommend everyone get the Maynard Public Schools App by going to the App Store for Apple products and the Play Store for Android products. That will be the most convenient way to get all the information you are looking for. The Maynard Technology Director, Stephen Woicik, gave a great overview of the state of Technology in the Maynard Public Schools at the School Committee Meeting last night. At the suggestion of several members of the School Committee, Stephen and I will host a morning technology information coffee at 7:00 to 8:00 am on Wednesday 9/12 and an evening technology information coffee at 3:00 to 4:00 pm on Thursday 9/13.